Earlier this week as I was checking the back links on a website for research purposes, I followed one of the links leading to the website which led me to an article written by someone that had an obvious bad experience with a search engine optimization firm. The article writer asked if people would pay $300 for Google to look at individual websites and tell webmasters what they needed for optimization in order to increase their rankings in the SERP’s. I’m sure people would fork over $300 to Google easily enough for this information, but Google’s business model is not about doing SEO for individual webmasters and bloggers. Google has a product that it delivers and is brilliantly successful at delivering this product. The product is rather simple: The most up to date and relevant information for any given search term that Google’s user place in the search query box, nothing else. Google is a search engine. Google dominates the search market because they are very good at what they do. What makes the product so unique is that it is totally free. When is the last time you paid to use Google to search for whatever you were looking for? Google doesn’t make it’s money from the people that use it’s product, it makes it’s money from the people that pay to advertise on Google. Adwords and Adsense are huge moneymakers for Google. Anyone that has ever ran a bad Pay Per Click campaign understands the massive amount of money that Google makes everyday, 24 hours a day. That being said, I guess Google could offer a service to evaluate websites and tell webmasters and bloggers what they need in order to rank highly in the SERP’s, and they may eventually do this, but I doubt it. Google already has all this information published, freely available to anyone that will take the time to search it out. The problem is, they don’t provide the information in a spoon fed format. Google isn’t going to tell you what your competition is doing to rank higher than you. They aren’t going to tell you what keywords your competition is using to beat you on a daily basis. They will however, place your website at the very top and in the number one position for your chosen keyword if you provide the most up to date and relevant content. But you must first inform Google that you have the best website with the most relevant content and this is done by implementing proper SEO. This is the heart of search engine optimization and where frustration begins for many webmasters. The writer of the article, it seems, had less than favorable experiences with SEO firms and in desperation, lashed out with the article. If all it took were a one time fee of $300 to reach the top spot on Google, everyone with a website would be in the number one position for their keyword which is impossible. Not everyone has great content or a well designed website. Granted, there are thousands of well designed websites with outstanding content that are 30 pages deep in Google, but these webmasters have not taken the time to educate themselves on proper SEO procedures or won’t pony up the money to pay someone to do proper optimization. SEO is a mystery to many people that don’t understand how it works and what is required to reach the top spots on Google. However, they do realize the fortunes that are made by the websites sitting in the top few slots for competitive terms and understand if they could just get their website there, they would be standing in high cotton. What they don’t realize is that it takes work, sometimes months and months of work depending on the competitiveness of the niche, to reach these top positions. This is where the problem begins for people that do not understand SEO and for the SEO firms that they choose to hire. There are less then desirable characters touting themselves as SEO specialist everywhere on the Internet, promising number one positions on Google within weeks and in some cases days. I suspect these types were the people the article writer contracted to do SEO work for his website. Unfortunately, just as in any business, there are bad apples that cast a cloud of doubt on the SEO business. Why do they want those slots? Because a fortune can possibly be made(depending on the niche) and they know this. When is the last time you made a fortune by not doing any labor and paying less then $300? Probably never, unless you bought a lottery ticket. The article writer has just cause to be upset if he was taken by scam artist, but his reasoning and logic are out of sync when it comes to pricing for SEO services and the work that is involved for proper search engine optimization. If you are given a date on when your site will reach the top position of Google for your keyword term, it’s time to pick up your toys and go home. 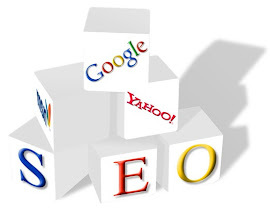 No SEO firm can tell you how long it will take your site to reach the number one position. I can tell you however, that if you hire a SEO specialist that knows his business, you will start seeing new traffic very soon. Not massive amounts of traffic and it may not even be traffic that converts well at first, but you will see new traffic to your website. This new traffic is a natural by-product of implementing SEO techniques as the SEO firm starts the process. I didn’t write this article to chastise the article writer since I do understand his frustration and contempt towards, in my opinion, criminal behavior by fraudulent “SEO firms” promising top positions for chump change. Rather, I wrote this article in hopes that I could educate at least some people about search engine optimization and what to expect. I’ve said it before on this blog, SEO can be done entirely for free if you do the research, find out what works and apply the time and dedication needed to reach the top positions of Google. This will take work and possibly months depending on the competitiveness of your niche. However there is one tool you can purchase that can cut the process down in terms of time and frustration and it won’t even cost you $300. It cost less than $200. It is not a magic bullet, close however, but not a magic bullet. It is software that will allow you to spy on your competition to see what they are doing to outrank you so you can copy what they are doing and apply what works. You can run analysis on any website, look at all of their back links and anchor text and has all the tutorials you need to begin to apply proper SEO. This software is used by SEO firms, A-list bloggers and untold webmasters to successfully reach the top pages of Google and can help you do the same. You will still have to work but it will reduce the amount of hours you would otherwise waste shooting in the dark. If you want to apply Search Engine Optimization to reach page one of Google, there is no better software available. If you are like the article writer and want to pay $300 or less for SEO, there is not a better way than to purchase SEO Elite.